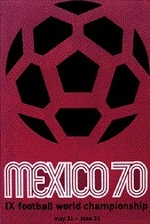 FIFA awarded the World Cup 1970 final tournament to Mexico at the 34th FIFA Congress in Tokyo on 8 October 1964 during the Olympic Games. Mexico had to compete with Argentina in the bidding process. They gained 56 votes, while Argentina only received 32. 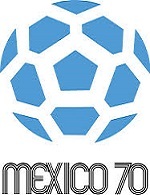 The sixteen participating teams were divided into four 'geographical groupings', which also took into account the teams' strengths and even political considerations, at a draw conducted at the Maria Isabel Hotel, in Ciudad de México on 10 January 1970. The FIFA Organising Committee also announced that there would be no seeding of teams. All four teams were to play each other once. 4 May: A 27-man England squad flew to Mexico City (the 28th, Francis Lee, flew out, four days later). They were met warmly by about a hundred Mexicans, when they arrived. 5 May: England had their first, light, training session, at the Reforma Athletic Club. Peter Bonetti (knee) and Jack Charlton (muscle strain) were treated for injuries picked up in the previous week's FA Cup Final replay. 6 May: Brian Kidd spent the day in bed with a stomach complaint, whilst the rest of the squad went sightseeing. 7 May: The squad played nine holes of golf at the Hacienda Club. 8 May: England had two training sessions. 9 May: The squad played football and cricket against the British Reforma Club teams. 10 May: England played a thirty-minute friendly against the British press, with Jack Charlton as referee. 11 May: The squad trained behind closed doors. 12 May: The entire squad played in an eighty-minute practice match at the Olympic Stadium, in almost continual rain. 'Back Home', a song recorded by the squad, reached number one in the UK. It was the first football-related single release ever to top the bestselling music chart, and it was to stay there for three weeks. 14 May: The players held an Olympic-style competition at the Reforma Club. 15 May: The squad visited the Teotihuacan Pyramids in the morning and trained in the afternoon. 16 May: In the second public practice match, the 'Whites' beat the 'Reds' 4-0, with goals from Geoff Hurst (2), Bobby Charlton and Allan Clarke. 18 May: The England squad arrived in Bogotá for the first of their two friendly internationals in South America. 19 May: England were unable to train in the Bogotá stadium, due to torrential rain. 20 May: England beat Colombia, 4-0, in Bogotá, after the second team beat the Colombians, 1-0. 21 May: The squad arrived in Quito. 23 May: Sir Alf Ramsey announced his World Cup squad, and the six players that did not make the final list. Of those omitted, Peter Thompson and David Sadler decided to stay on and support the team, whilst the other four flew home after the Ecuador games. 24 May: England beat Ecuador, 2-0, in Quito, after the second team had beaten LDU, the champions of Ecuador, 4-1. 25 May: The squad flew back to Bogotá, where Bobby Moore was accused of stealing a gold bracelet on a visit to a jewellery store in the previous week. As his team mates left to return to Mexico City, Moore remained in Bogotá to face charges. 26 May: Bobby Moore appeared in court in Bogotá. 27 May: Following training in Mexico City, the squad were given a reception by the British Ambassador and then flew to their first round base, Guadalajara. 28 May: Moore flew back to Mexico, after the judge announced that he did not have enough evidence to justify a charge of theft. 29 May: Moore rejoined the squad for training at Club Atlas. 30 May: A 45-minute practice match was staged at Club Atlas, with the second team surprisingly beating the first eleven, 3-1. Osgood (2) and Bell scored for the reserves, and Lee netted for the first eleven. Peter Thompson, omitted from the final squad, played for the reserves. 31 May: The squad had a half-hour practice match in the Jalisco Stadium. Sir Alf commented that the pitch was bumpy and in poor condition. "England...in the mere matter of chances, might well have won and certainly drawn. "...after the dubious award of the penalty the crowd's attitude changed from indifference to abusive hostility. "...a remarkable battle royal in the midday sun which was finally a cruelty to man. "...the better side won in the end. 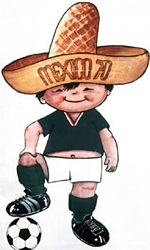 "The system of playing only two forwards...is unsuited to Mexico's heat, height, and humidity.